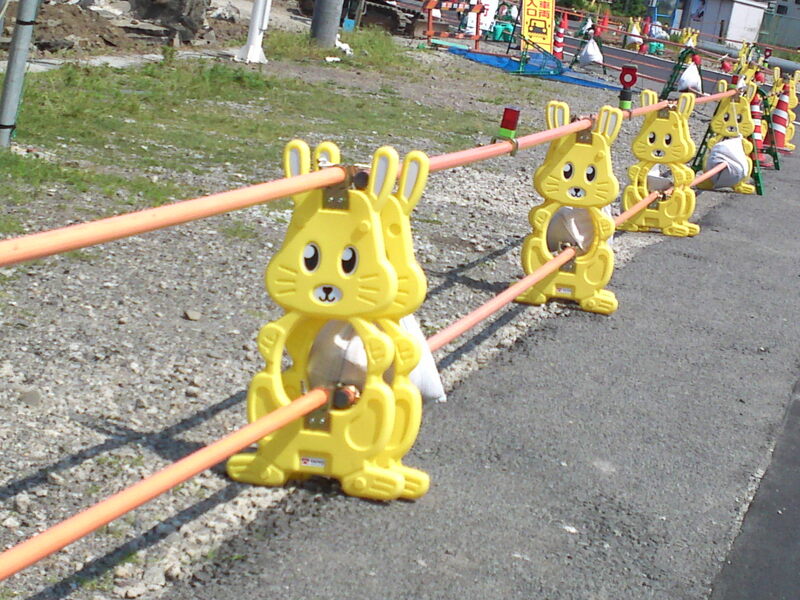 Japan is a safe country to the point of decorating part-time road guard rails when proceeding with works on their roads! One way to keep the kids off dangerous roads! And it is one example! I’ve already seen blue ducks and blue and white Mount Fuji! Previous PostStunning Flowers at Hamana Lake Flower Garden in Hamamatsu City!Next PostEnglish Disaster Drinks and Weird Hearts!